Probiotics – What’s the Deal? As of late I have been asked several times why someone would even bother taking a probiotic and what the benefits could possibly be. After explaining it for the 3rd time in just a handful of days I figured it might be worth wild to explore the benefits of probiotics in a blog post. Just starting it is important to understand that our bodies are full of various different forms/strains of bacteria at any given point. We often plug these guys into two categories “good” and “bad” bacteria. Our body’s goal is to achieve and maintain balance or homeostasis, so too much of one or the other can trigger our bodies to go into action and to attempt to start balancing things out. The problem is with all the “food” (processed, chemically latent, chemically preserved items) we have at our finger tips we tend to have more of the bad stuff than the good. Another way we can throw this delicate balance for a loop is the use of good ol’ antibiotics, antibiotics are non-discriminatory meaning that they wipe it all out not just the bad stuff. So what is up with probiotics? 1. 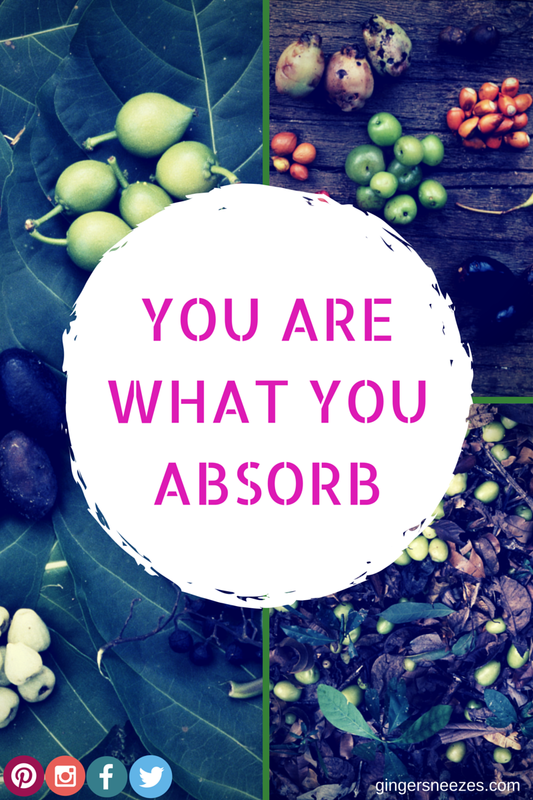 Absorption: probiotics can assist in the body’s absorption of nutrients (vitamins and minerals). There are some vitamins (such as the Bs) that are made in our intestines. A healthy balances of intestinal bacteria (good and bad) is what helps our body’s do this optimally. 2. Immunity: balance is always key. There is a pretty strong relationship between what is happening in your gut and how capable your immune system is. If your breakdown and absorption of food is compromised, plus your intestinal ecology is all out of wack your body will have a hard time supporting your immune system. 3. Lady Health: having unbalanced intestinal flora can lead to infections, and for us ladies yeast infections and urinary tract infections can be an issue when an imbalance is present. Probiotics can be used orally or vaginally to help bring balance back to the body and ward off infections of this type in the future. 4. Digestion: these little bacteria guys do wonders in breaking down food. If you are often finding yourself feeling bloated, gassy, etc. Maybe try introducing some probiotics to your life to assist in the break down of food. Some studies have even shown that the use of probiotics might help to increase tolerance to dairy. 5. It doesn’t have to be a supplement. Probiotics are living organisms that get this don’t have to come in a pill! Sure a supplement will give you that boost you might be looking for, but having foods such as Kefir, Kimchi, Komboucha (lots of Ks! ), Sauerkraut, etc in your diet might just give your body the sustainability it needs to stay healthy and operate optimally. So basically probiotics can be a great addition to an already healthy supportive diet. There are many different strands and varieties out there, and variety is the spice of life, so maybe go get yourself a kombucha or load up on some delicious organic sauerkraut and see what a properly balanced belly feels like for you. This entry was posted in Food and tagged bacteria, gut, healing, healthy, helpful, holistic, nutrition, probiotics by healingginger. Bookmark the permalink.